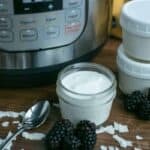 Quick all-natural sugar free pudding can be made using tofu. 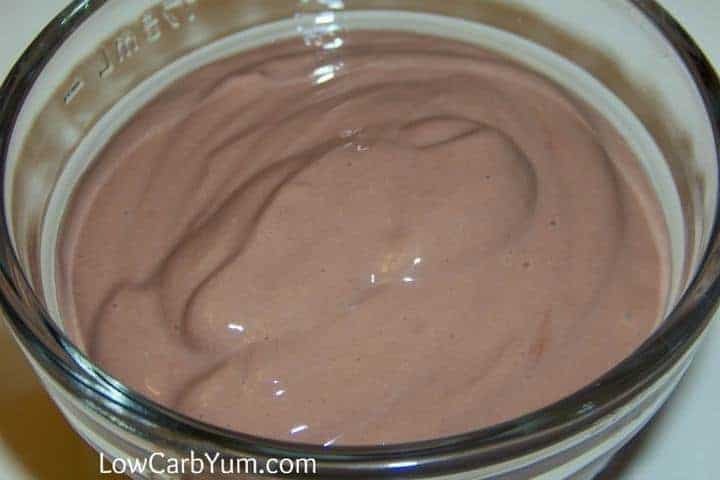 This instant low carb chocolate tofu pudding has only four ingredients with no artificial sweetener. 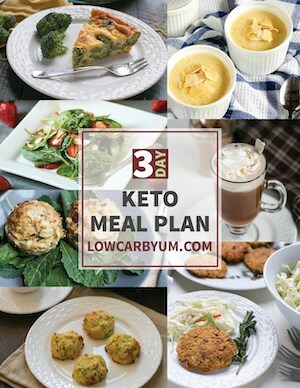 When starting a low carb diet, it’s a good idea to have healthy snacks available to satisfy any cravings. 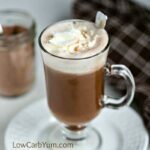 Chocolate is a big weakness of mine so I’m always on the lookout for quick and easy recipes involving chocolate. I stumbled upon an article about tofu and different uses for it. Since tofu is made from soy, it isn’t surprising that it can be used to make pudding, ice cream, and tofu pudding. 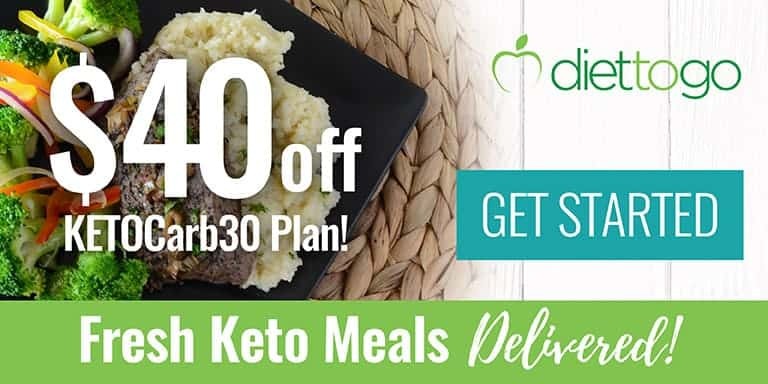 I usually avoid soy products because of the controversial studies showing possible harmful side effects from eating too much. 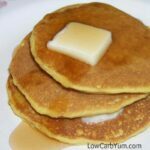 However, because soy is so low in carbs, I haven’t been avoiding it completely. The lite silken tofu that I bought listed less than 1g carb per 3 ounce serving. Out of all the tofu packages, the lite was the one with the lowest carb count. 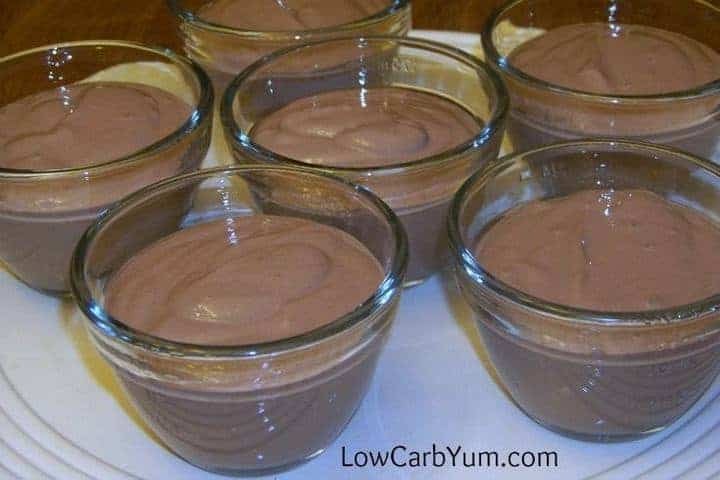 So I used it to make this low carb chocolate tofu pudding. There is a significant amount of protein in tofu so it’s a snack that will really fill you up. 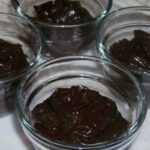 If you want to make up a quick batch of chocolate pudding, the soft silken tofu has a consistency of pudding when mixed in a blender or food processor. 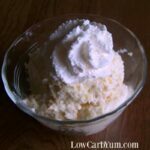 All it needs is a little flavoring and sweetener to make a healthy low carb pudding snack. 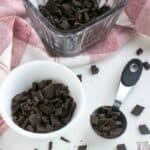 It’s so quick to make this instant low carb chocolate tofu pudding. I’d say it’s about as fast as the instant pudding mixes in a box. 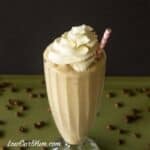 But, you are getting real food ingredients with this recipe and none of the chemical junk. 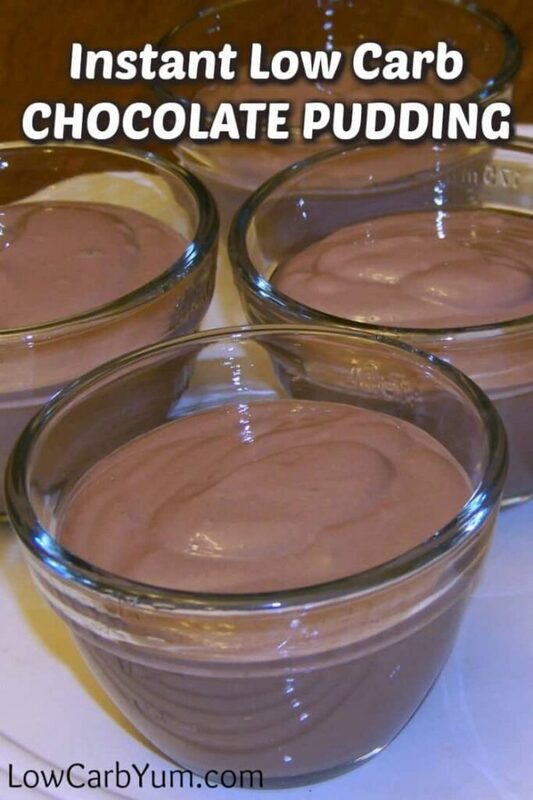 If you’re avoiding soy, you may want to check out this recipe for chocolate pudding instead. 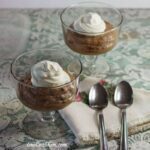 For those wanting to try something a little different, I’ve also got a recipe for chocolate pudding made with cauliflower here. 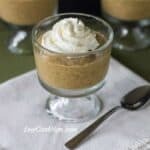 Quick all-natural sugar free pudding can be made using tofu. 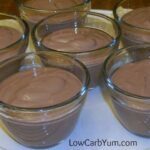 This instant low carb chocolate pudding has only four ingredients with no artificial sweetener. 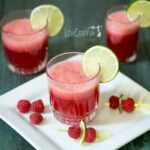 Blend or puree all ingredients in a food processor until smooth.